Chaos Created built the foundations for this site. Prior to this, the company had no web presence in the UK. We were responsible for coming up with the layout of the site, the contents of the site, and the design. We decided, early on, that the site should be as useful for friends and relatives of residents as it would be for prospective residents so decided to feature heavily activity calendars, weekly menus and news of recent events. 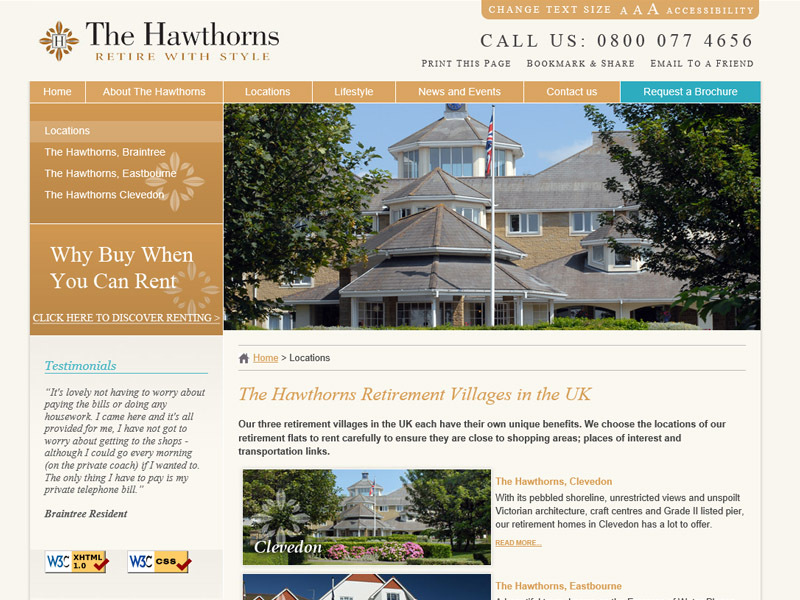 The site is now managed in-house at Holiday Retirement UK.